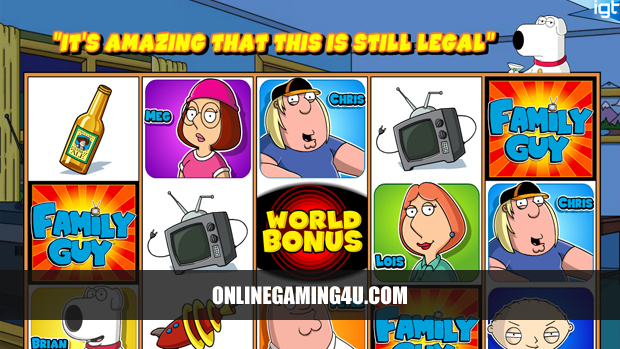 Summary: Family Guy slot is an amazing slot game based on the world-famous TV show with amazing graphics and features. Family Guy slot is an online slot machine based on the hit TV series featuring the famous family; the Griffins! The game features all the characters from the show including Peter, Lois, Meg, Chris, Stewie and Brian, spread across 5 fun-filled slot reels with 30 paylines available. 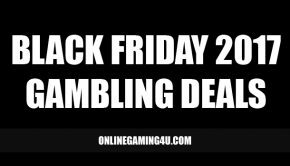 Players can bet from as little as 1p and experience 6 fantastic bonus feature-games including the famous Chicken Fight Bonus. There are also many great rewards to be claimed in-game including Stewie Wilds and Meg’s Multipliers! If you love Family Guy and slots, then this game is an absolute dream for you. The game features a World Bonus, which is the catalyst for allowing a bonus round to be activated. The World bonus can be triggered by either Brian’s feature or by three bonus symbols in any position on reels two, three and four. 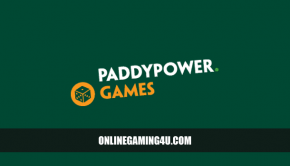 Once triggered it will allow players to spin the globe and see which of the 3 bonuses will be awarded; Lois’ Hot Free Spins, the Drunken Clam Bonus or Peter’s Chicken Fight Bonus. 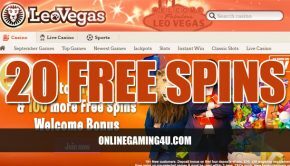 In Lois’ Hot Free Spins Bonus players start with 10 free spins to use and claim rewards and prizes. 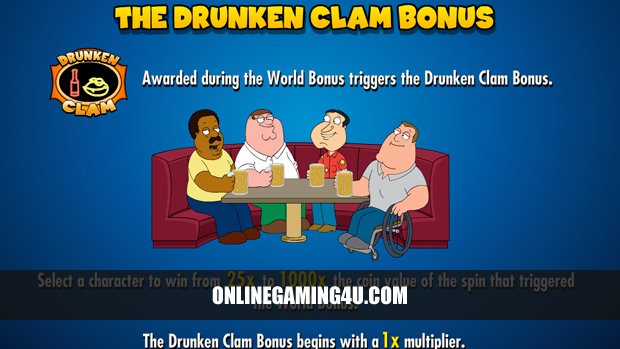 The Drunken Clam Bonus allows you to choose any one of four characters and select a tap. The tap reveals an award value that the characters will drink to. Following each round, one of the characters will pass-out and if the character who passes isn’t the one you have chosen the multiplier will increase. 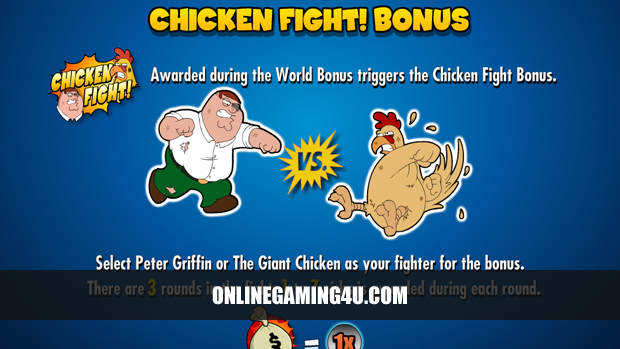 The Chicken Fight Bonus presents players with one of the biggest conundrums of the 21st century – choose a character to fight; The Giant Chicken or Peter Griffin! The two will then fight over the course of 3 rounds. For each round that your chosen character wins; you will be given four to seven picks and the multiplier will increase. Family Guy slot also features a Giggity Retriggity scatter symbol feature that will give you five free spins each time it lands anywhere on the middle reel. 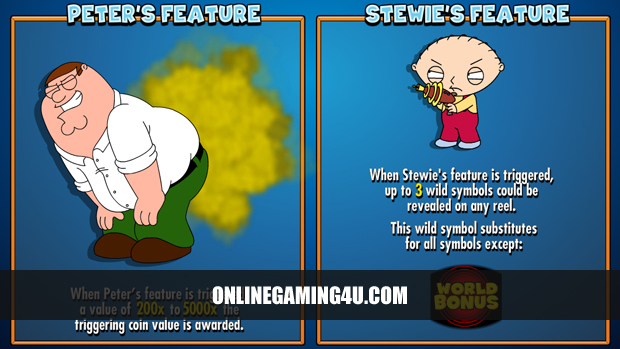 Image previews of Family Guy slot. Video preview of Family Guy slot.